Boigjt one two months ago, loving it so far. If you have one please let me know. Looking for folks to follow in the app for motivational purposes. I swore up and down to SWMBO that it would become an expensive towel rack. I have one mike. Usually Ride it 3x a week. Love it. Mind PM’ing me your user name? That is crazy pace. Im riding now more than ever but 3x a week is about all I can fit in. I do yoga 2x a week as well. Sometimes I travel and that screws me up but when I’m around I usually get it all in. @The Cen-Tex Smoker Do you have a road/mountain bike? Is the Peloton to avoid weather and/or traffic? Or is it the convenience of being there whenever you have time to ride? Asking because our Texas weather is usually pretty nice. I have a dumb trainer and am trying to decide if a Peloton or smart trainer is a good investment for me. Never been a cyclist and have no interest. I love the class format and convenience of the Peloton. I do a lot of hiking outdoors. We have 30+ miles of greenbelts and rustic trails all walking distance from my front door. Lots of mountain bikers back there but I prefer hiking. The calorie burn on Peloton is insane and I can get done in 30 or 45 min depending on what class I take. I work at home so I can jump on any time I have 30-45 to spare. It’s been nice to have around. No peloton bike here, but I bought an Assault Airbike last year and love it. There is no way in h e double hockey sticks I would get on the road on a bicycle with all these moronic distracted drivers! I am an avid cyclist but a few months back I got ran off the road by some idiot I assume was texting - that was the third time in the last 18 months or so. I had a dumb trainer but it was too boring. I like the convenience of the Peloton, being able to jump on anytime I can. I like the ability to use it year round (I live in New England), and I like the community aspect. The price tag and subscription cost are drawbacks, but they are also motivators to me to keep using it. The cost per ride gets cheaper every time I use it. Guy died in my hood last week. No way I would ride a street bike. Just read a little about this bike - please let me know what you think about the instructors adjusting your incline/decline/resistance during the ride. That sounds like an interesting feature peloton doesn’t offer. I appreciate the response. I still have the joy of very little traffic on country roads. The vast majority of drivers I encounter live in the area and tend to be very considerate toward my riding. The alternative I am considering to a smart trainer is a nice gravel bike. I can extend my riding onto the multiple county roads that are caliche topped gravel. Of course, both a trainer and a new bike would be ideal, but there’s the whole $$$ issue. I asked Cen-Tex simply because I’m familiar with the riding conditions around Austin. I can see that road cycling is becoming increasingly dangerous in many areas. 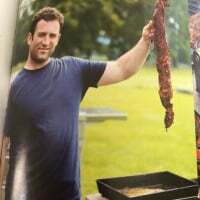 The Randall's guy. Very Sad. My wife HAD to have the Peloton Bike a couple years ago. HAD. TO. HAVE. IT. We sold it last year for $1000. I can see that road cycling is becoming increasingly dangerous in many areas. Yup. Here in CT state law requires drivers give cyclists a minimum of 3’ of clearance - usually doesn’t happen as most secondary roads in this part of the country are very narrow as they started as horse and buggy paths. Or they are just being arseholes and try to see how close they can get. Many people in New England are just plain rude. 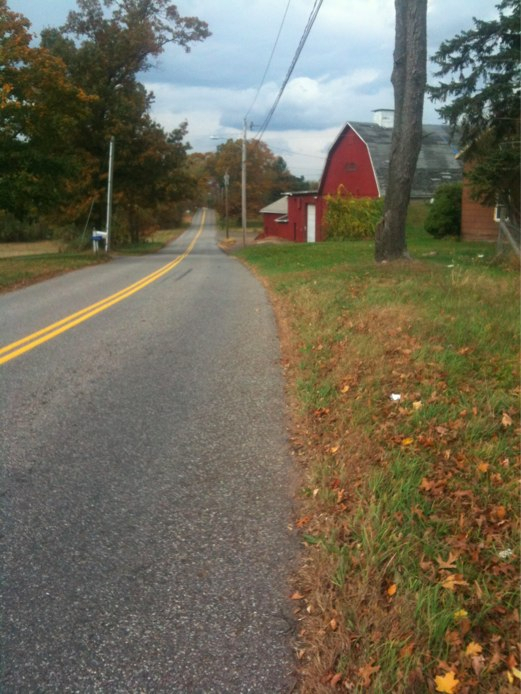 When I ride (country roads in farming communities northeast of Hartford), I find that most drivers will pass me by moving at least halfway into the oncoming lane. So little traffic that they can easily do that. I don't find them rude at all. You never know I guess, but I have yet to feel uncomfortable. And I HATE HATE HATE stationary exercise equipment!! I used to be a road bike rider. Having had two ( not my fault) interactions with cars (law of gross tonnage in play-latest in 1984,old here) and surfacing as the loser in each I retired from that gig. Full props to all who can do the indoor equipment exercise regimen but I was unable to accept that environment. I'm sure the relative safety of the home/gym has many merits. Congrats to those who get it done. Yep. He lived 2 streets from me. Saw him riding to/from work several times a week. I could never do a stationary bike, treadmill, or elliptical in my house (or anywhere else). This is guided spin classes (live or on-demand) and that has kept it very interesting for me. I love the class format but would never just get in a spin bike and ride without it. It’s not for everyone but I have enjoyed it. As my great-great granddaddy said: there’s an a$$ for every seat. I use a standard road bike on a turbo trainer regularly in my garage. Love it. In fact my Santa' list is clip in pedals and even more lycra. 2) Too dangerous to ride on the roads around here. 4) Its very convenient and easy. I bought a cheap heart monitor and the calorie burn is huge - if you follow the CV interval videos. 5) Plus it gave me an excuse to re-unbox my Arcam amp and Tannoy speakers, about 20 years after they were re-boxed following SWMBO not really tolerating their presence in the house and choosing a particularly aggressive shade of magnolia for the walls and insisting they match nothing & have to go! I am certain that my neighbours love my eclectic taste of 80's synth pop, 90's Club anthems and most of the Trojan back catalogue. For those who Peloton: what’s the experience with weight loss? I’ve had mine 2 months, down 22 lbs. I am also doing the keto diet at the same time. I used to do 300 miles a week on the road back in late 90's and early 2000's. No more! Too many friends RIP. Anybody want to buy a really nice light and fast carbon Pro Team Time?